Please help us by supporting our sponsors. We couldn't help you nearly as well without their help to us. You will need to disable AdBlock Plus or its ilk in order to view the content on this page. Our SCORE chapter is tightly coupled with the Pasco Economic Development Council, presenting seminars, facilitating roundtables, and mentoring their incubator clients as well as small businesses in general. If you are starting a new business or trying to expand your small business, the Pasco Enterprise Network (PEN) offers a one-stop resource for finding guidance and assistance. No matter what challenges you may be facing, we can connect you with the programs and resources you need to start and grow a strong business in Pasco County. The Pasco Enterprise Network is a collaborative effort of not-for-profit agencies committed to ensuring the success of small businesses in Pasco County, Florida. The U.S. Small Business Administration helps Americans start, build, and grow businesses. 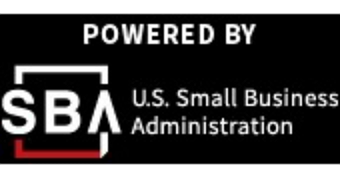 The SBA was created in 1953 as an independent agency of the federal government to aid, counsel, assist and protect the interests of small business concerns, to preserve free competitive enterprise and to maintain and strengthen the overall economy of our nation. WXJB is a proud Platinum sponsor of Pasco-Hernando SCORE. Just click on our "donate" link at the top of this page for more information about the benefits to you for becoming a sponsor. Or, click here to request more information.